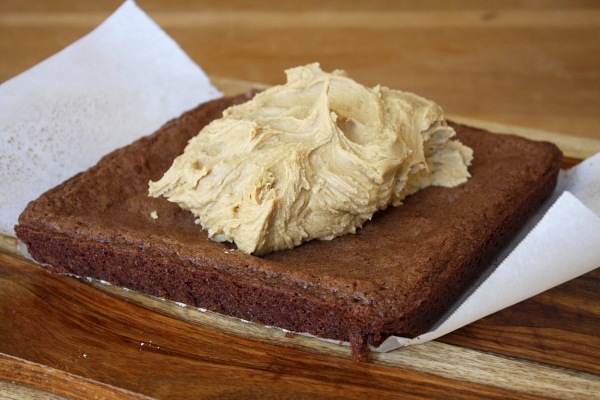 They start with a fudgy brownie. 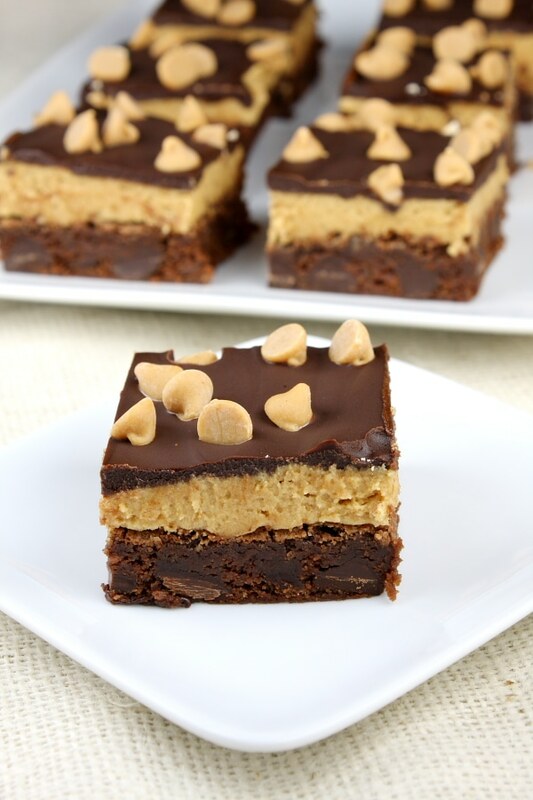 Then they’re topped with an egg-free peanut butter cookie dough layer. Cookie dough is spread all the way to the edges. 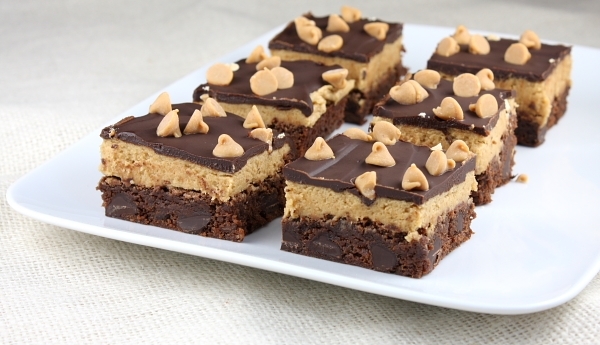 You don’t want to gyp anyone out of a bite of cookie dough when they bite into these brownies, do you? A layer of ganache on top makes them look a little fancy… and it holds them all together too. 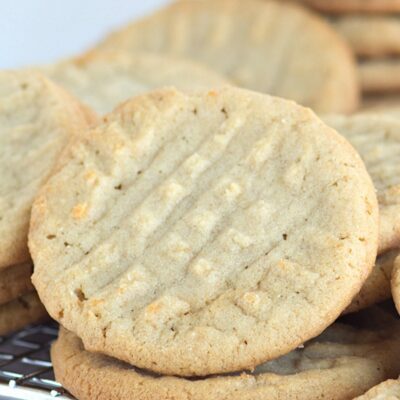 And as if you didn’t have enough in there already, they’re topped with a handful of peanut butter chips. Refrigerate until everything is nice and set. They’ll slice nicely if you’re patient enough for the refrigerator to do its job. 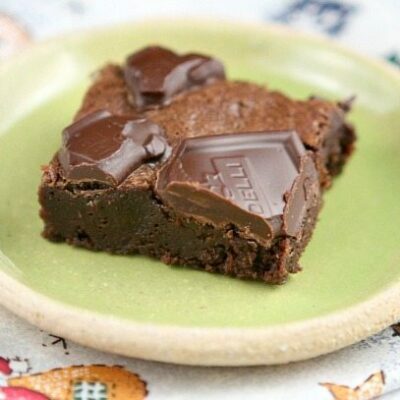 Keep these brownies in the fridge when you’re not eating them. Warm cookie dough just isn’t as appetizing. Clearly I got a little out of hand with photos of these guys, but can you blame me? They were so photogenic… and delicious. And there’s one more photo of those layers. I love the fudgy brownie layer, and it’s made even better by the addition of some chocolate chunks. The peanut butter definitely helps even out all of that chocolate stuff. These are a must-try for my cookie dough loving friends out there. 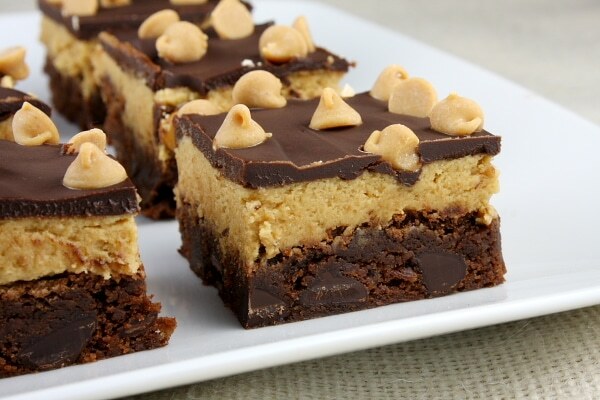 If you like this recipe, you may like my recipe for Chocolate Chip Cookie Dough Brownies too. Hoo-ray for cookie dough! Head to Cake, Batter & Bowl to get the scoop on how this recipe did when it was featured on Food Network’s Ultimate Recipe Showdown! Another one for cookie dough lovers only! 1. Preheat oven to 350 degrees F. Spray an 8x8-inch pan with nonstick spray. Line the bottom of the pan with a strip of parchment paper, so that it comes up two of the sides that are opposite each other. Spray the parchment with nonstick spray too. 2. Prepare the brownies: In a small bowl, melt the butter and unsweetened chocolate in the microwave until the butter is melted, about 2 minutes. Stir briskly until well-combined, then stir in the vanilla. Meanwhile, in a large bowl- use an electric mixer to beat together the sugar and eggs. Scrape in the partially cooled chocolate mixture and mix to combine. In separate medium bowl, whisk together flour, baking powder and salt. 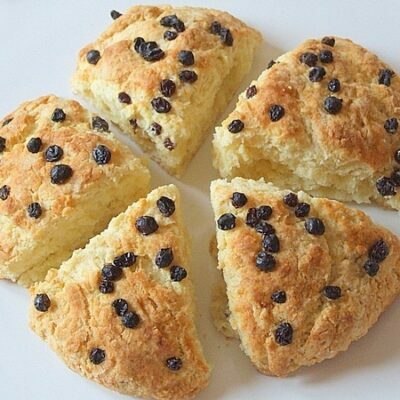 Stir the flour ingredients and chocolate chips into the wet ingredients. Spread the batter into the prepared pan. Bake 22 to 28 minutes, or until a toothpick inserted into the center of the brownies comes out clean. Remove from the oven and let cool. 3. Prepare cookie dough layer: In a large bowl, use an electric mixer to combine butter and brown sugar. Mix until creamy. Add milk and peanut butter and mix to combine. Stir in flour and salt. 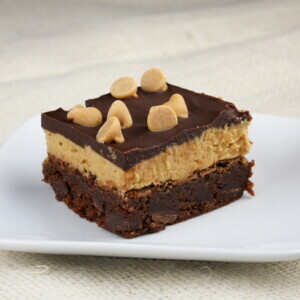 Spread the peanut butter cookie dough in an even layer over the cooled brownies. 4. Prepare ganache: In a small bowl, microwave chocolate chips cream and sugar for 1 minute, stirring after 30 seconds. Continue to microwave in 30 second bursts, stirring after each heating time. Continue heating and stirring until the chocolate is melted and the mixture is smooth. 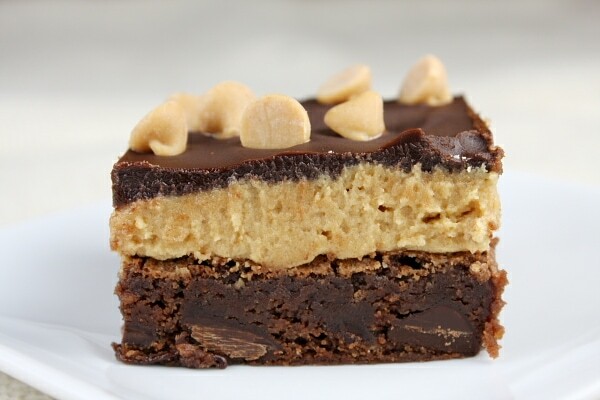 Drizzle the ganache over the peanut butter cookie dough layer and carefully spread to cover the top. Sprinkle with peanut butter chips. Refrigerate until the dough and the ganache topping are set (at least 1 hour). 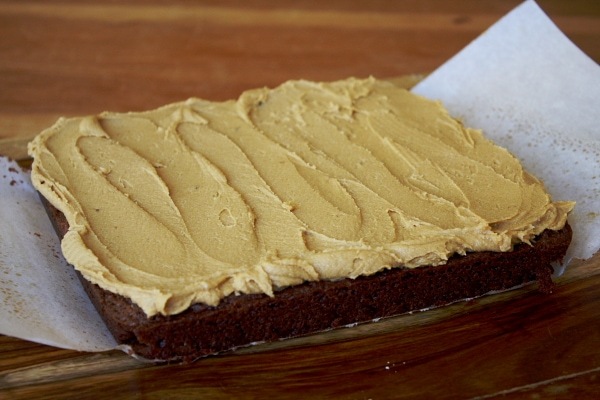 Use a knife to loosen the sides, then carefully grab the parchment paper and remove the whole pan of brownies to a cutting board. Use a sharp knife to cut them into squares. Keep refrigerated until ready to serve. my pb layer is really really crumbly. its not exactly spreadable, id have to press it into the brownie layer. is that right????? please advise asap, i am having guests over tomorrow night, and this was supposed to be dessert. If it’s crumbly, just add in a little more milk until it’s more of a dough-like consistency. Then it should be easy to press onto the brownie layer. I used boxed brownie mix, added mini chips and dash of vanilla to the cookie dough, and did some diy cocoa powder/milk/sugar/vanilla/cinnamon ganache. Turned out great! 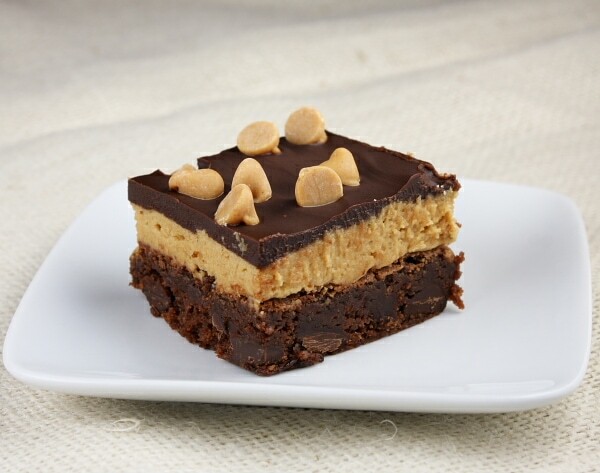 if any one made the Peanut Butter Cookie Dough Brownie ,,Lori I made it the peanut butter middle was that fluffy Or thick ,? ?it taste great but I would like to know if it should be Thick or Fluffy like icing or thick like a cookie ?? I don’t remember the consistency specifically. OMG! I gained 5 lbs from the pictures alone. They look so delicious! 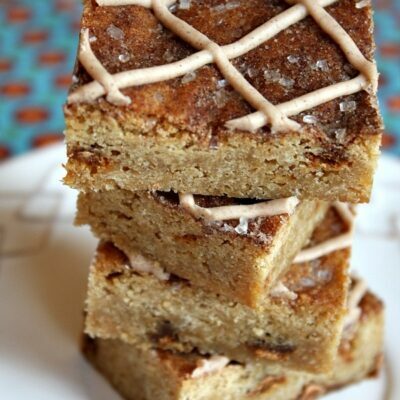 Can I sub coconut flour for all-purpose flour? These were a hit when I made them for dessert with a friend and her kids! I cheated a bit and made the brownie layer from a box. I will definitely be making them again- so yummy! SO YUMMMY, i had to use a different brownie recipe because the ones from these didn’t cook in the middle so i made a 9×13 of them and they are yummy and fudgy and delious! Im making these right now as we speak! they are in the oven and we found out we didn’t have brown sugar and peanut butter chips so we ran to the store! these are going to taste to good! ill post a reveiw later! i used a 6 x 10 because i didn’t have a 8×8. but they look think and yummy. Mmm… These are soooooooo good! I made them using my own recipe for a 13x9x2 pan of brownies, and I poured the batter into two 8 inch cake pans and followed the rest of the recipe. They were really good, and looked fancier and more impressive in cake slice form! 🙂 Thanks so much for the fantastic recipe! i just tried making this yesterday, and it came out tasting really great. 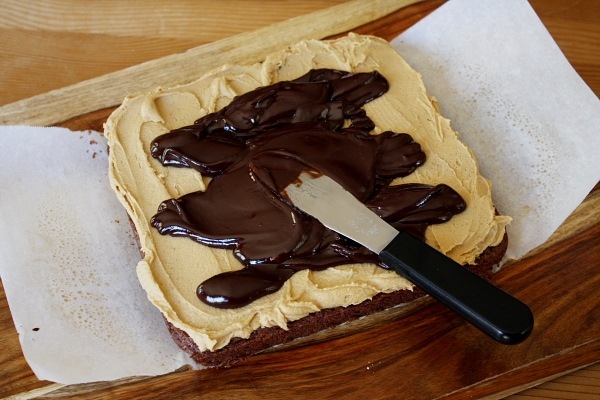 But i had a few issues with it: my brownie wasnt really cooked through in the half an hour period, and also when it came to cutting the brownie up with the peanut butter layer on top, the peanut butter it not really stick to the brownie layer and hence it came off as 2 pieces. I like to cut the brownies when they are chilled- everything stays together nice and firm, then you can let it come to room temp. Would they work with semi-sweet chocolate chips? It’s all I have on hand. What do you think of doing these gluten free? I’m not sure! I guess it depends how much you love your gluten free raw dough & gf brownies! Please let me know if you try it. 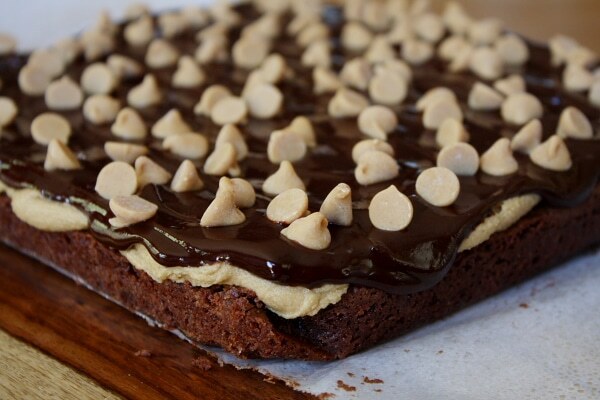 This is THE best peanut butter brownie recipe ever created! My husband WILL not stop talking about it and wants me to make another batch ASAP. I think my Sunday afternoons have disappeared forever 😉 PROPS! These look flat out addictive! I love the dough-y idea. Super tasty.